Timothy Holt has been insuring America's families for over 40 years, including 30 years specifically in the flood and property insurance. We have taken pride in the level of service we have provided to the thousands of customers over the years, and look forward to working with you. 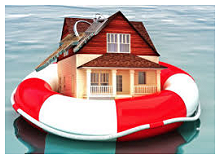 Let us review your current Flood Insurance Policy. 75% reduction in our flood insurance premiums! I have no problem giving you an A1 reference for taking care of the flood policies for me and Diane. I appreciate you working with the mortgage company: the surveyor and our previous agent. The result was a 75% reduction in our flood insurance premiums! We contacted Mr. Holt for an estimate via email over the weekend prior to a closing on a property, hoping for a response on the following Monday to take with us with confidence in being insured at the settlement table on a Tuesday. He exceeded our expectations not once but in readily responding to the initial request and then to follow-up questions all during the weekend frenzy that occurs before closing. "Impressive and responsive customer service," for sure!